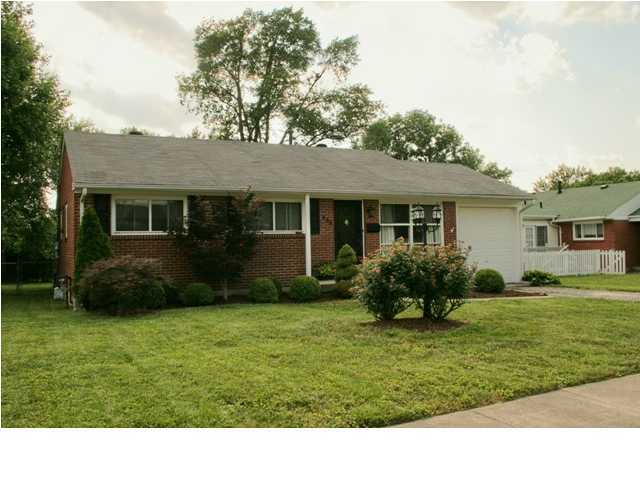 4516 Barrowdale Dr Louisville, Ky 40216 MLS#1031550 is a great home in a terrific neighborhood. It has three bedrooms and one and a half bathrooms. This home is meticulously maintained. It sits on a dead end street with over 1300 square feet of living area. This home has a great floor plan. 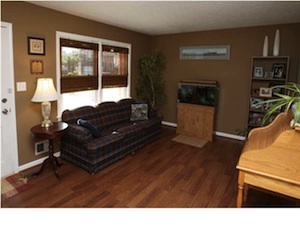 The living room is painted in neutral colors and has a laminate floor. The Family room has a wood burning fireplace with a blower. The bedrooms are a nice size. The Kitchen has lighting in the soffit over the kitchen cabinets. 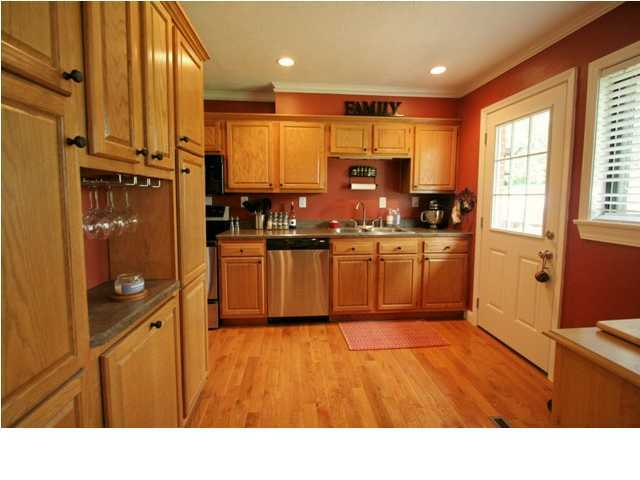 The Kitchen is also an eat in with plenty of counterspace and a see through to the family room. The patio and backyard is amazing. 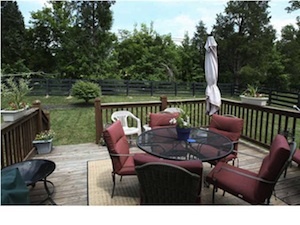 The seller took great care to create a sanctuary type enviornment. Replacement windows adorn the exterior. The HVAC is only five years old. There is a great overhang over the front porch. 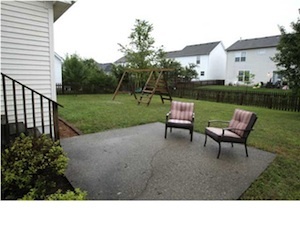 A brand new driveway leads to a well maintained landscaped yard. For More information about 4516 Barrowdale Dr. Louisville, Ky 40216 or additional Homes in Louisville, callthe At Home in Louisville Team at 502-371-1173. 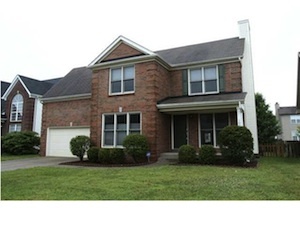 This home on 6420 Tradesmill Dr. Louisville, Ky 40291 MLS#1307317 is a former model home. This home must be seen to be believed! The foyer leads visitors to a open livingroom with a fireplace, crown molding and extends to the formal dining room with french doors that open out to a patio in the back yard. 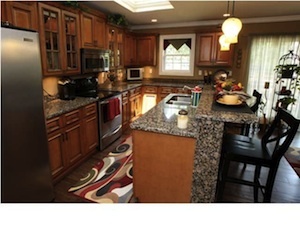 The Kitchen contains beautiful cabinetry, pantry and an eat in Kitchen with nice bead-board trim. All appliances in the Kitchen remain with the property. There is a half bathroom on the first floor as well. A great sized Master bedroom has a Master Bathroom with dual vanities, a garden tub and a seperate shower. A huge master closet is huge with access to the walk in storage above the garage. Upstairs bedrooms have ceiling fans and ample closet space. The second floor also has a full bath and laundry. The washer and dryer will remain with the house. Incredible features of the property include, a two car garage, a wonderful front porch, a patio in the back, a roof that was replaced two years ago, and the entire interior is freshly painted. 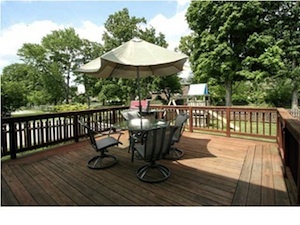 Located on a flat lot, 6420 Tradesmill Dr. Louisville, Ky 40291 is set on one of the largest lots in the neighborhood. This home is beautifully landscaped. Call The At Home in Louisville Team at 502-371-1173. 8605 Autumn Ridge Ct Louisville, Ky 40242 is an amazing home at a terrific price. 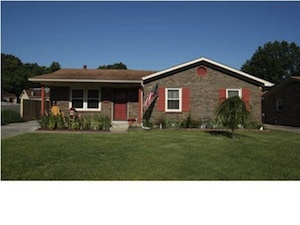 This two story home has 3 bedroom, two full and two half bathrooms has an all brick exterior. The stately home has a two story entry foyer, a living room with fifteen pane glass french doors that lead into the Great Room. The home also has a formal Dining Room. The Kitchen is completely open to the Great Room making it convenient for entertaining. Beautiful built in cabinets adorns the Great Room. A full bank of windows bring the outdoors into the space with plenty of natural light. The Kitchen has hardwood floors, lots of cabinet and counter space and a sunny eating area looks out over the fully fenced backyard. The backyard backs up to a green area. The upstairs has 4 large bedrooms. The Master Suite is spacious and has an incredible walk-in closet. 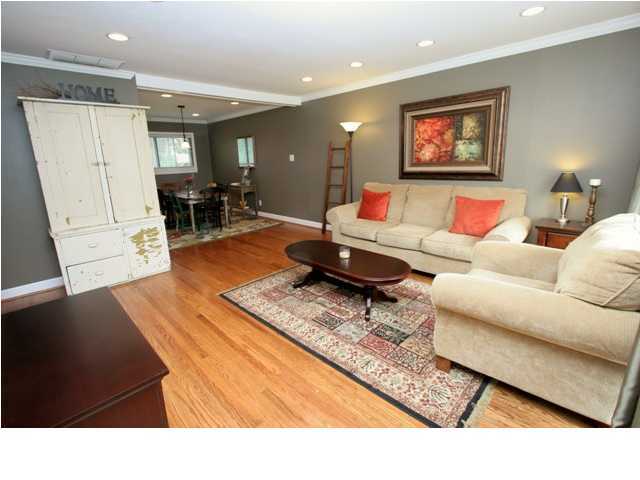 The finished basement has a full family room and a half bath. Move into this incredible neighborhood with this aggresively priced home today! For more information about 8605 Autumn Ridge Ct. Louisville, Ky 40242 MLS#1306744 or additional Homes for Sale in the Autumn Ridge neighborhood, call the Lynn Thomas Team today at (502)-371-1173. 404 Scarsdale Rd. 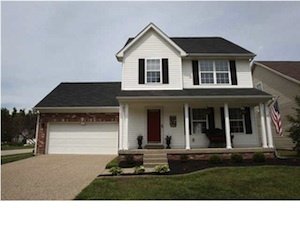 Louisville Ky 40243 is a great home at a fantastic price. This gorgeous 3 bedroom 1 and a half bath home in the sought after Crosscreeke subdivision is fully renovated and ready to move into. 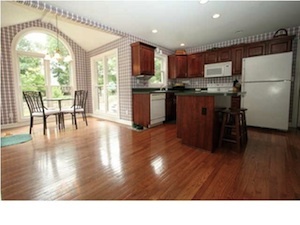 The fully remodeled kitchen sits next to a beautiful dining room. The Dining Room Is completely open to the living room making it optimal for entertaining or just extra room to spread out. The formal dining area is large enough to serve a full dining room table. 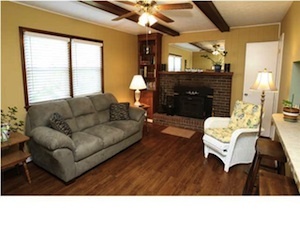 This Adorable ranch home has been fully renovated. Every room is decorated in choice colors and furniture is placed with a true sence of design. The hardwood on the floors have also been recently sanded and stained. The kitchen was completely gutted and replaced with new floors cabinets, stainless appliances, counter tops and a service area. Both bathrooms have been remodeled as well. The colors of the interior of the house are fantastic. There is recessed lighting, plenty of closets, a laundry room conveniently located in the hallway conveniently located close to all the Bedrooms. 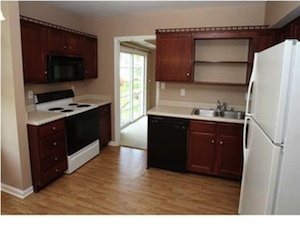 Updates include, windows, HVAC, fresh paint, new back door, 2' plantation blinds, crown molding and lighting fixtures. The backyard has enough room to play and garden. There is a huge deck with built in seating. This home is nestled in the heart of Middletown. Shopping is super close. 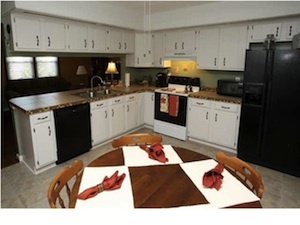 Many parks and schools shopping and Churches are conveniently located nearby. For more detailed information about 404 Scarsdale Rd, Louisville, Ky. 40243 MLS#1306361 or homes in Woodland Hills, call the Lynn Thomas Team today at 502-371-1173. 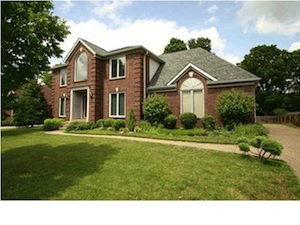 10004 Spring Gate Dr. Louisville, Ky 40241 is a great home at a fantastic price. This gorgeous 4 bedroom 2 and a half bath home in the sought after Brownsboro Glen subdivision is ready to move into and priced to sell. The eat in kitchen is open to the spacious Family Room. 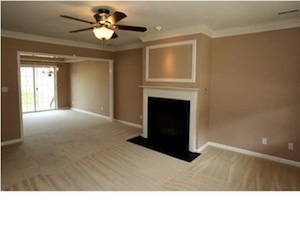 The Family Room has enough space for a fireplace and several sitting areas. The formal dining area is large enough to accommodate large holiday family gatherings. Casual dining is available in the Kitchen where there is enough room for a Kitchen table that seats 6 and a breakfast bar at the counter that serves 4. Upstairs boasts four generous sized rooms. The Master Suite contains vaulted ceilings and is large enough for a King Sized Suite. One of the bedrooms is used as a second family room it's so big it could also make a great 'teen suite'. The colors of the interior of the house are neutral. There is recessed lighting, plenty of closets, a laundry room conveniently located on the first floor and plenty of storage thoughout the home. The unfinished basement offers even more room for storage. This home is a treasure with plenty of room to spread out in. The backyard has enough room to play or garden. The Tinseltown movie theatres are nearby. The Summit Shopping Center is also very close. Many fantastic restaurants, groceries and Churchs are conviently located just a short drive away. For more detailed information about 10004 Spring Gate Dr, Louisville, Ky. 40241 MLS#1306013 or homes in Brownsboro Glen, call the Lynn Thomas Team today at 502-371-1173. 419 Wood Springs Rd. La Grange Ky 40031 MLS#1305676. 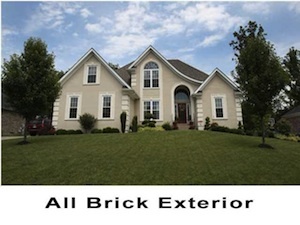 is an all brick exterior home in Old Anita Springs in La Grange Ky. 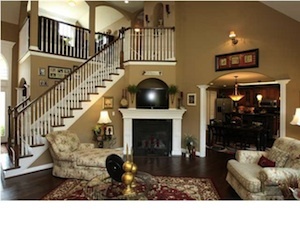 This exquisite 1 and a half story Cape Cod in Old Anita Springs has plenty of room to roam. This Custom Built home has a 2 story foyer with hardwood flooring in the dining room, eat in kitchen and Great Room. A beautiful archway leads into the dining room which features wainscoting, beautiful trim and a floor to ceiling window. The Great room has a full bank of windows allowing a room full of natural light. The vaulted ceiling emphasizes the open floor plan with a fireplace that has an arched inset for the TV. The kitchen, open to the great room, features stainless appliances and granite counter tops, a skylight, raised breakfast bar, and plenty of counter space and cabinet space. There is a wine and China cabinet built to match the cabinet. The first floor Master is spacious hand has a private bath. 2 upstairs bedrooms, a fll bath and a loft that overlooks the great room with even more arches. 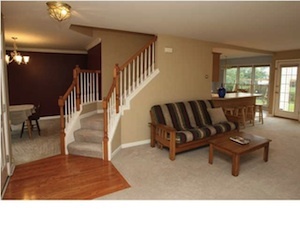 The basement has a 4th bedroom, a full bath a bar area a recently installed top of the line carpet, and a media room. Another special feature of the basement are full daylight windows bringing plenty of natural light into the back wall of the basement. In all, the Home contains 4 bedrooms and 3 and a half baths. It contains 3750 square feet of living area. For more information about this home for sale or other homes for sale in Old Anita Springs, call the Lynn Thomas Team at 502-371-1173.